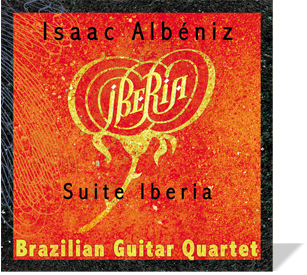 BGQ’s fourth CD presents Isaac Albéniz masterpiece “Suite Iberia”, for the first time arranged for guitar quartet. The work captures the sounds, landscapes and traditions of Spain, most notably of Andalusia – the birthplace of the flamenco culture – offering the listener a musical voyage through some of this country’s rich cultural heritage. This vibrant arrangement preserves the work’s essence, while giving it a whole new perspective through the voice of the guitar, Spain’s national instrument.